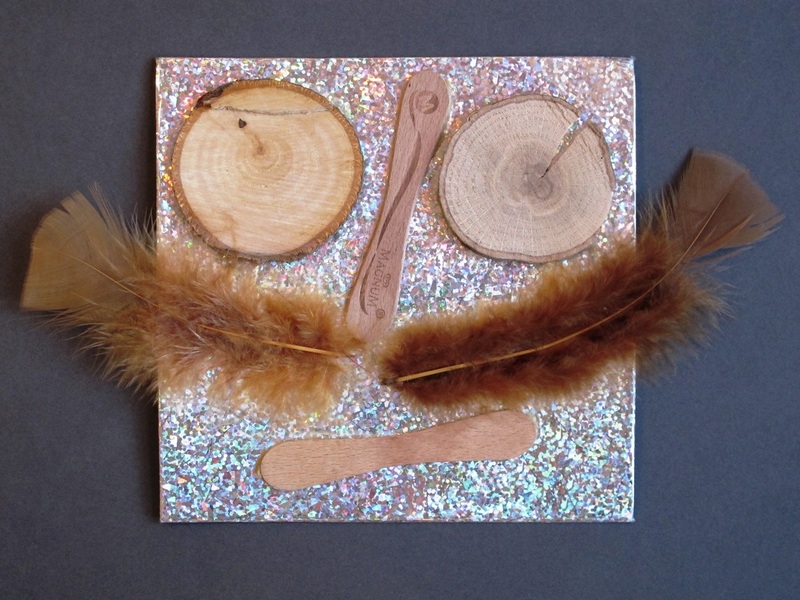 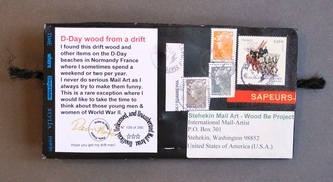 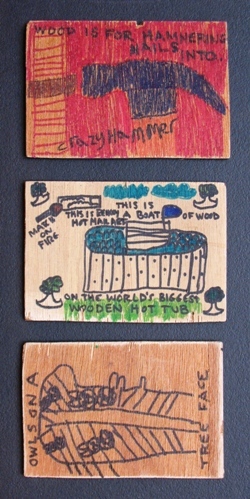 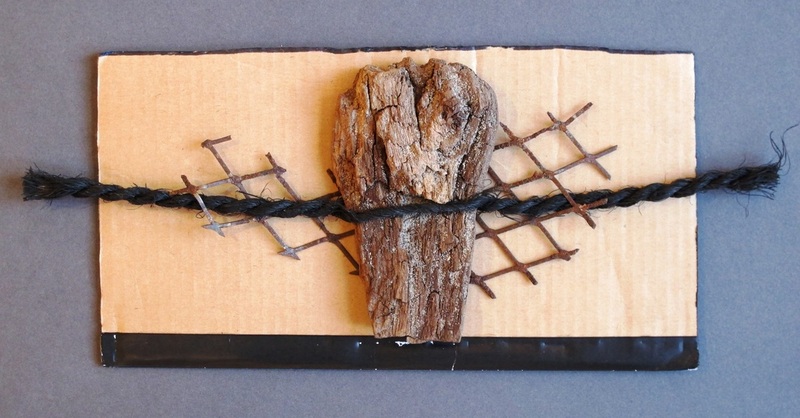 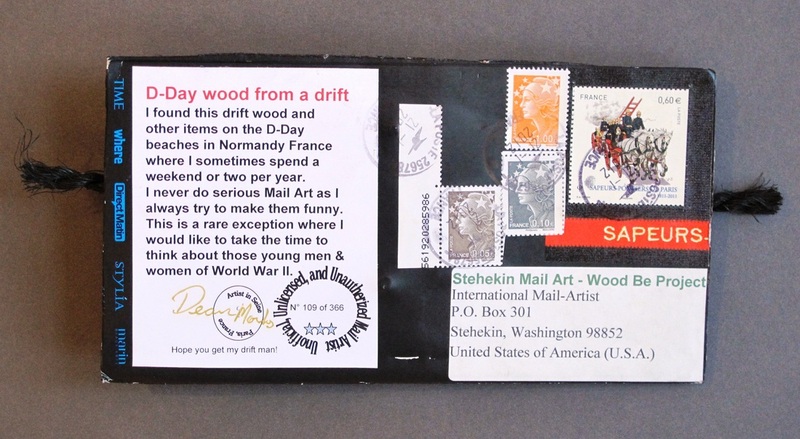 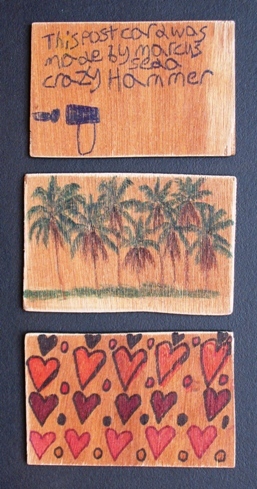 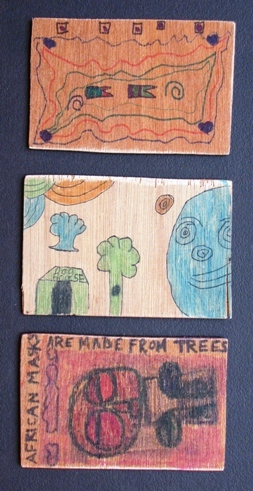 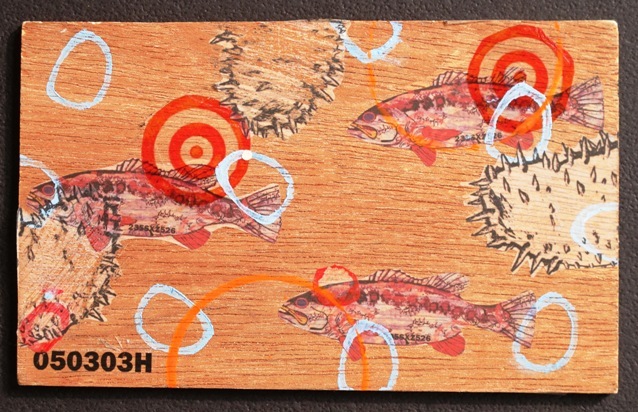 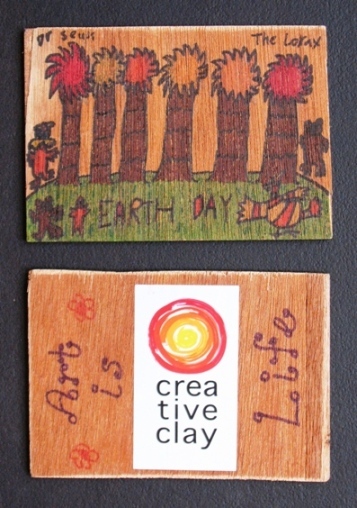 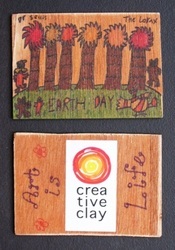 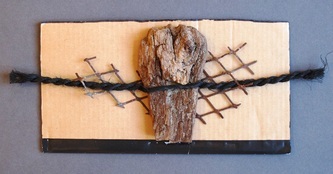 We're getting mail inspired by the idea of "wood" or "trees" or with an emphasis on art more than wood. 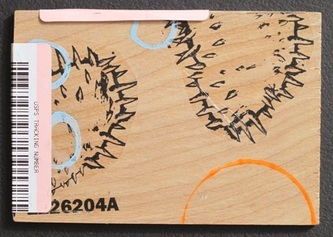 I'll put those arrivals on this page. 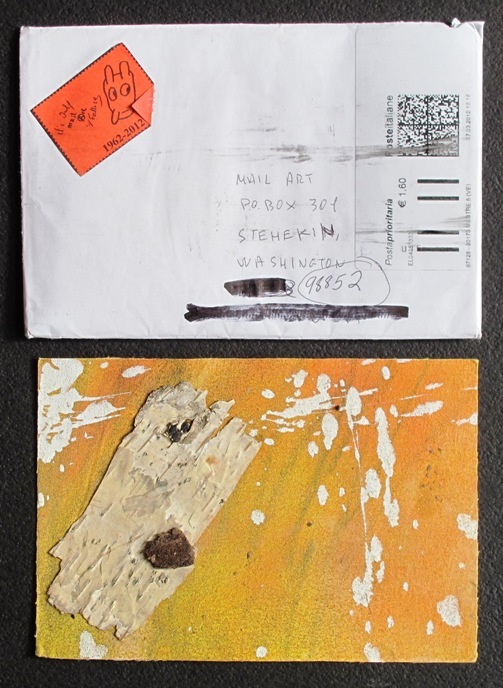 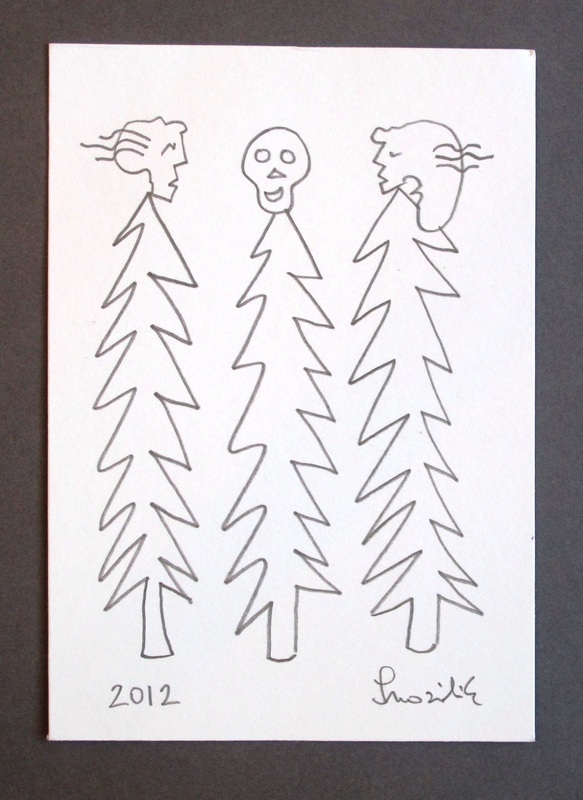 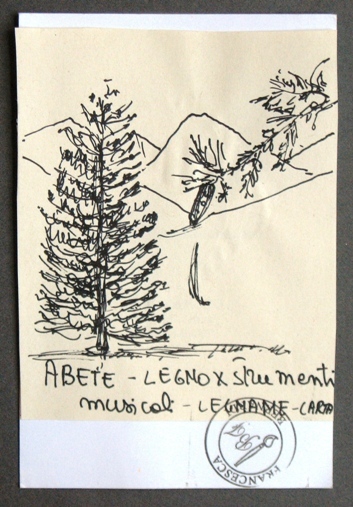 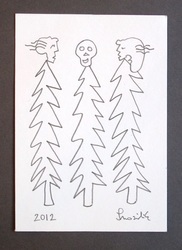 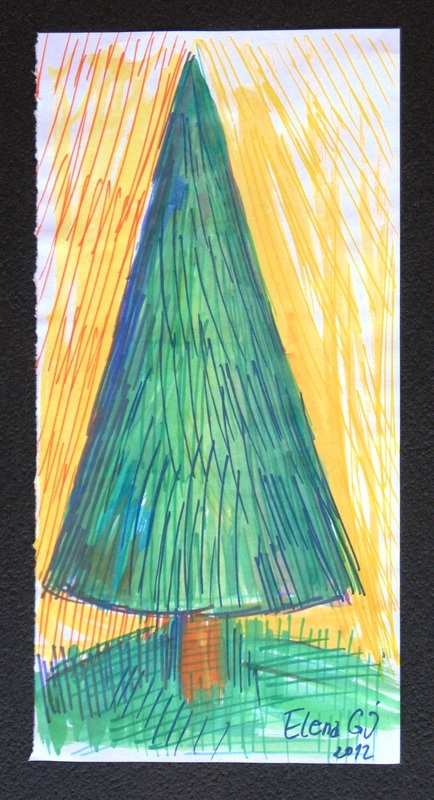 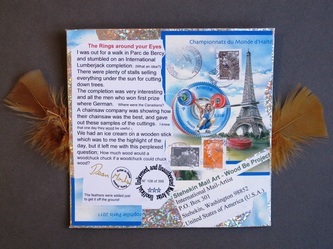 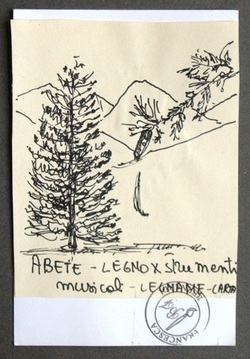 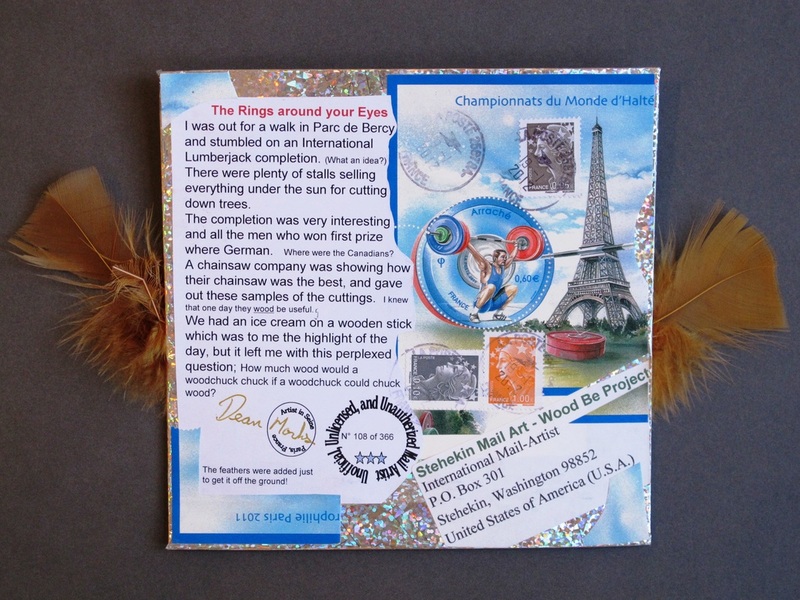 Christine Tarantino (Wendell, Massachusetts) mailed this large (12" x 18") postcard. 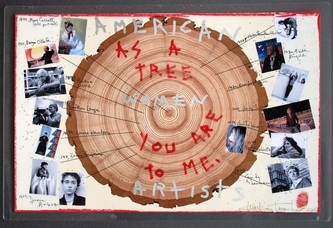 Christine indicated the birthdates of American women artists as shown on the growth rings of this tree.